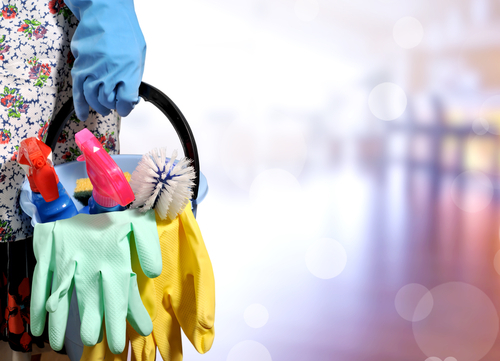 Cleaning your house can seem like the most futile task imaginable: even if you've spent the whole day making sure that every surface is sparkling, it only takes ten minutes for your work to be undone. Still, every time a guest enters your house for the first time, you will probably catch them quickly glancing around, mentally comparing your domestic skills to theirs (or their mother's). While this may be a little kiasu, it's also human nature. 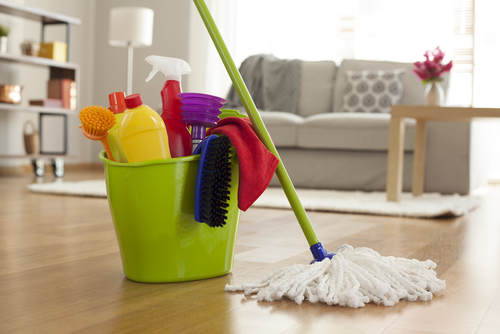 Don't allow other people to think you're lazy; keeping a house clean is not difficult. This article will help you discover one or two shortcuts to make that chore a little more enjoyable. · Unless your home is huge, you can almost certainly keep everything in good order by spending only 15 minutes a day on the task. Alternatively, you can allow everything to become dirtier and dirtier during the week, and then spend your whole Sunday afternoon trying to put things right. Which approach do you think is easier? · Streaky windows look almost worse than dirty ones. Mix a little white vinegar with water for an effective, eco-friendly cleaning solution, spray onto the glass and wipe down with a microfiber cloth instead of newspaper. · Get your kids to help you. Younger children generally want to participate in their parents' activities, and even if you don't want them scrambling up ladders or playing with bleach, there is almost certainly something for them to do. This can help in forming habits that will stay with them for a lifetime. · Break every job into smaller tasks. If you decide that today is kitchen day, mentally chop the room into pieces: sink, fridge, counters, tiles, floor. In this way you can feel that you're making progress, don't have to do anything twice, and know where to continue if you're interrupted. · Go from high to low. If you start by washing the floor before anything else, you'll just need to clean the floor again at the end. · Get organized! Everything in your house should have a place and sleep there when not in use. A smaller home can quickly begin to look cluttered if objects are allowed to lie around randomly. · Listen to music or audiobooks while cleaning. Of course, cleaning is boring, that's why we don't like to do it. Getting out the iPod can keep your brain busy while your hands are occupied. · In many Singaporean households, both parents work full-time at demanding jobs. Is it fair to then expect the woman to wash the windows, too? Almost three decades ago, former prime minister Lee Kuan Yew stated that the role of married women is no longer the same as in previous generations. For the sake of domestic harmony, giving a working woman a break at home is a sound idea. · Anybody will approach a task differently depending on whether it's simply something they have to do, or they are getting paid for it. While you might drag a mop around your own floors without enthusiasm or much pride in the final outcome, a person doing it for a living will want to do it perfectly and chop-chop, in order to get to the next residence on their list. · By the hundredth time you've cleaned your house, you have certainly fallen into a routine, and don't even see the nooks you never clean anymore. By contrast, a paid cleaner looks at every job with fresh eyes. Take a quick look around your house; chances are you'll find dust on top of the picture frames, finger smudges on every light switch, and if you look up you'll find that your ceiling fans' blades are disgusting. All this is what you would expect in an otherwise clean house! 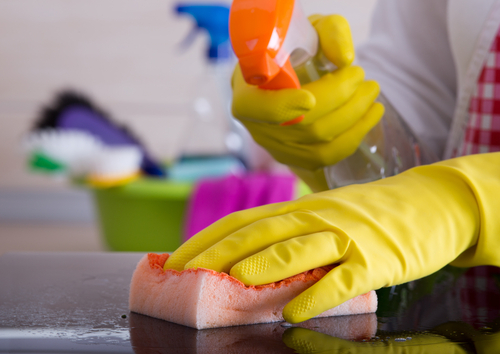 A dedicated house cleaning service knows to look out for these common trouble spots, and will do things like kiwi your taps and clean under heavy kitchen appliances. · Benefit from periodic deep-cleaning. Many people don't even know how to steamclean carpets and upholstery, how to get an oven really sanitary, how to remove troublesome stains or where that funny smell in the kitchen might be coming from. Those who do it for a living know all the house cleaning tips and tricks, and generally clean their clients' homes exceptionally thoroughly once a month or so. · It's not something most people think about often, but poor cleaning habits can have health repercussions. In humid climates like Singapore's, fungal growth loves to make a home in unventilated spaces. Breathing in their spores can lead to a crazy range of symptoms which many doctors won't be able to correctly link to the cause. Also, invisibly tiny dust mites can accumulate in cushions, upholstery and bedding, causing respiratory illness and allergic reactions. · Most house cleaning services have very different rates for regular visits, where they know they left the place clean a week ago, and one-off jobs, which is when they expect to encounter a war zone. Your time, including the time you spend relaxing, is one of your most valuable possessions, so it might be worth it to find out how much a regular cleaning contract really costs. Part of modern living means exposing yourself to numerous artificial chemicals, the long-term effects of which are still poorly understood, especially when several are combined with one another. This is unavoidable unless you want to go live in the jungle, but in your own home, where your family lives, eats and sleeps, you can at least limit this unknown risk. You will also usually save money if you choose to move away from branded cleaning products. There are so many recipes for non-toxic DIY cleaners available that there's no reason to list more than a few examples here. Commercial air fresheners don't remove foul smells, they just prevent you from smelling them. Especially in refrigerators, a small piece of charcoal or a bowl of baking soda will actually absorb bad smells. A mixture of vinegar and salt is great for making brass doorknobs and window fittings shine. If you find mildew in your bathroom, where it likes to grow in the grout between tiles, lemon juice will quickly solve that problem. You might find that homebrew cleaning solutions not only smell better than stuff that comes in bottles, they also give a better result with less effort.